GSE shows and stores detailed information for players you encounter. For the most basic user, it will give you a numerical representation of the quality of other players' gear (their GearScore) and a summary of their talent specs, and it will display this information in their tooltip. For the advanced user, or pug leader, it will help you audit a player's gear, talents, and raid experience, so you can make well-informed decisions. Whenever you encounter a user, their detailed information is stored in a local database, so you can look over their information later, at any time. Be sure to report any bugs you find, and we'll push out fixes to them as soon as we get them. There are a lot of complaints that the GearScore number isn't as closely related to skill as it should be. 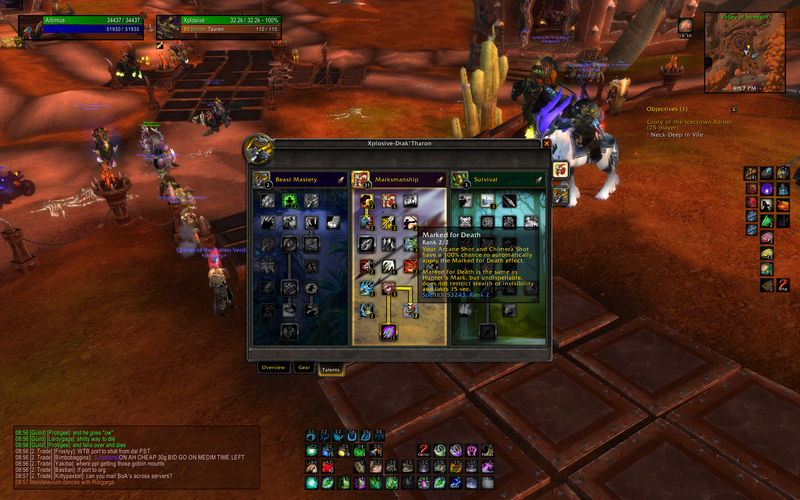 For example, GearScore doesn't take into account a player's stats, talent specs, gemming, or enchanting. We strongly believe that there is no such thing as "SkillScore" and that a player's skill cannot be accurately represented in a single number. Furthermore, we don't want players to gem or enchant their gear in a certain way just to increase their GearScore. This is why we provide the means to efficiently analyze a player's skill through other means (and we're gonna be making this much easier over the next few updates). A single number can never accurately represent a player's skill, but we think a number that represents the quality of their gear is a great start for filtering out noobs from your pugs. Add GearScore to player and item tooltips, as well as your character frame. Add main-spec and off-spec to player tooltips. Add current raid experience to player tooltips. Store gear, including gems, enchants, and reforging for viewing at any time. Store complete talent trees, including off-specs for viewing at any time. Store current raid experience including individual boss kills for viewing at any time. Searchable database UI for looking through players you've seen in the past. 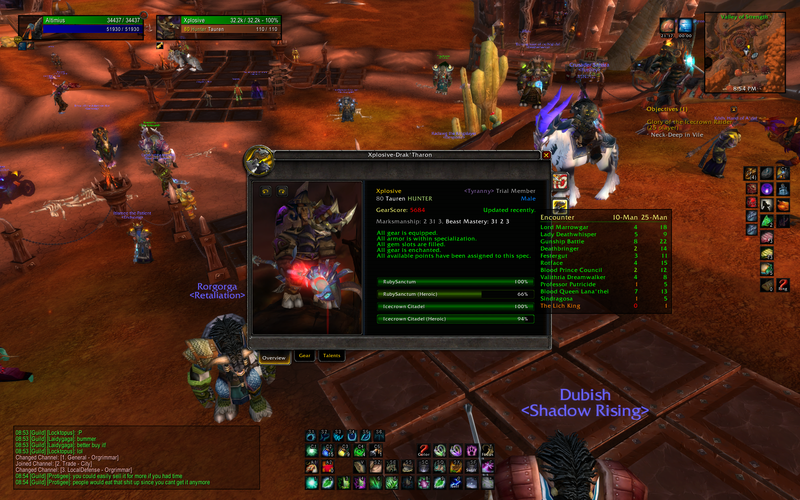 Easy-to-use player auditing alerts you to missing gems, enchants, gear, or talent points. Fully duel-spec aware - Maintains BOTH main-spec and off-spec gear / talent sets for players. Cross-server support - View players that you've inspected on other servers. Key Bindable - Viewing a player's info is as easy as hitting a button. The next feature release will be the detailed experience tab. Experience Tab - View detailed raid experience for current and past raiding tiers. Audit Tab - Advanced player auditing tools. Raid Window - View or request data and statistics for players in your raid. Player Requests - Request information remotely for players, either directly from the player or from guild members. Player Notes - Store and view notes for individual players, and request notes from other guild members. More options and customizations (such as changing displayed string formats, and relevant raiding tiers). If there's something else you want, let us know. The model shown is always the user's character model with the target player's gear. This is caused by a Blizzard technical limitation and there's no known way to correct it at the moment (but I've spent a lot of time trying). The next best thing I've been able to come up with is a model with the correct gender and race, but wrong texture (imagine blood elves with fur and hooves), and no lighting on the cloak, helm, and shoulders. If someone has a way to make this work properly, let me know. 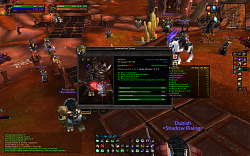 NOTE: This addon is not created by or affiliated with the makers of the original GearScore addon in any way. The creators of this addon were simply sick of GearScore operating poorly, looking ugly, and constantly breaking things. Thus, the goal of this addon is to either provide a better alternative to GearScore or give GearScore some competition and pressure them to work harder and do better. Fixed - GearScore in item tooltips. Fixed? - Blizzard achievement frame error. Changed - Split GearScore in tooltips option into two new options, one for items and one for players. Added - UI for searchable player database. Access it by typing "/gse db" or key-bind it. Added - Item levels in player gear tab. Added - Database button in player window. Fixed - Player frame recycling. Fixed - Bug that sometimes incorrectly caused the gear scroll frame to appear empty. Added - Cache time setting. Now you can have some control over how long player data is cached. Changed - Memory optimizations. I've made some significant improvements in the amount of space the addon uses to store player data (both in memory and on disk). Fixed - Player window bug. Is their going to be an update to this or is this it? Though, I'm still having error from Blizzard_AchievementUI from time to time. Everything was fine in city, but unfortunately, GSE produced major lags while in combat. I add to disable it to be able to play smoothly. Last edited by mcguffin : 12-14-10 at 04:10 AM. will the suggested gear be added. 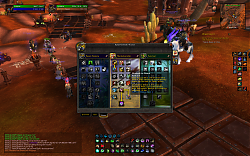 ie, weather or not the item Benefits (balance-feral-restoration) setup. wMmap :: Is a lightweight Minimap, with a sleek look & custom imagery. wIn1 :: In one addon. and is very lightweight & simple to use. wChat :: Is a lightweight chat mod. wBroker :: Is A simple broker add-on. wPetXPBar :: Is A simple lightweight Pet XP Bar. wBuffs :: Is A simple Buffs Bar. I understand how that works but maybe I wasn't as clear as i could of been. So anyone else with GSE is currently seeing my GearScore a lot lower than it should be. Ah okay. I'll get this fixed. I guess this may not be as clear as it should be, but here's the way that works: If you're a hunter, ranged items have a different GearScore. The first number (156) is the GearScore of that item for non-hunters. The second number (830) is the GearScore of that item for hunters. It's similar for hunter main / off hand weapons, and warrior weapons (titan's grip). Last edited by Femika : 12-07-10 at 05:38 AM. 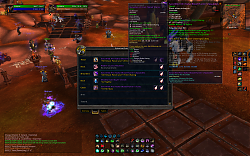 It shows a gear score in the mouseover tooltip of 156. Now, Zod's bow - non heroic (http://www.wowhead.com/item=50034) has a score of 156 also, but has (830) in brackets immediately after. Hopefully you can fix this? Not a major issue, but since GSE tracks gems and enchants, anyway to allow it to track engineering enchants? It didnt recognize i had no cloak / gloves / boot / head engineering enchants. 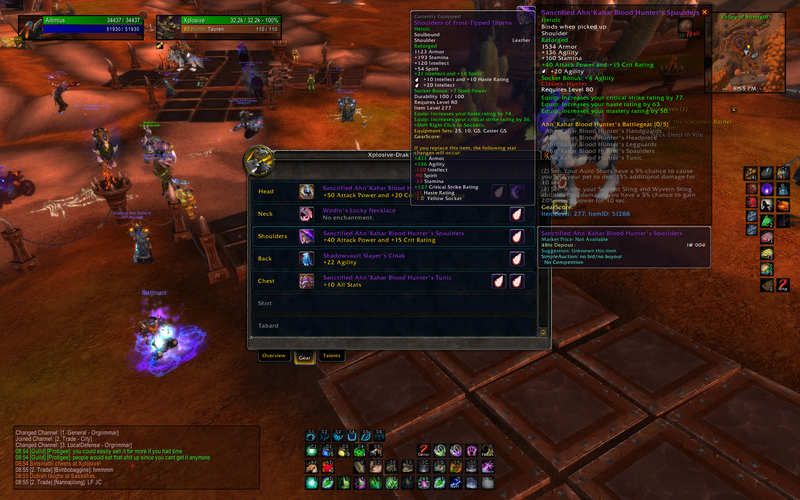 With 4.0, you can now have both engineering enchants and regular enchants on the same piece of gear. Not sure if GSE tracks like ring enchants for enchanters etc either. Unfortunately there's no way of knowing through inspection what professions a player has, so I can't really have it say when people aren't using their profession enchants / gems. Would it be possible to change the colors used to show gearscore? More specifically I found that for some players with gearscores between 3000 to 4000 GSE is using dark blue coloring which is very hard to read. Maybe if it was a ligher blur or cyan color? Yeah I'll see about changing this. Also, Am I the only one having issues when inspecting players in instances ? I am seeing MY items instead of their in the tooltip. Pretty weird stuff ! Last edited by lewal : 12-03-10 at 09:10 AM. 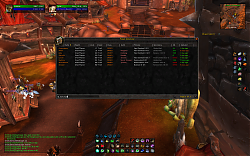 Is it possible to host the Addon also on Curse?? So it's easier to Update. Yeah, it should be on Curse soon. 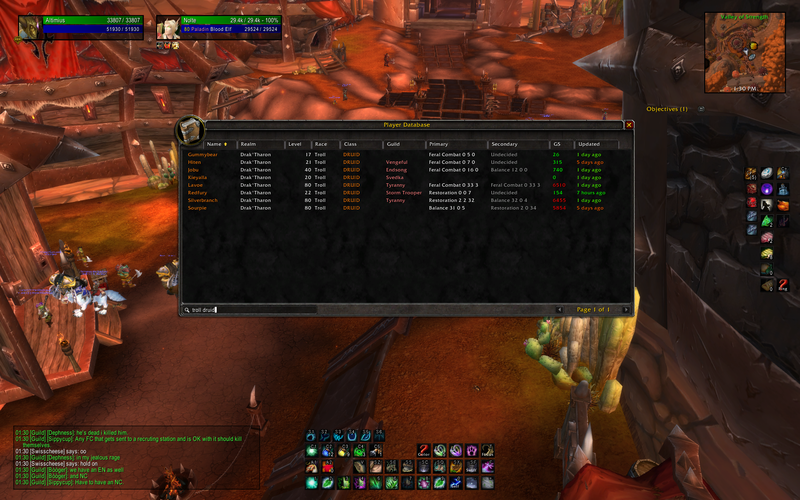 Curse takes forever to approve new addons.